« Moving in Los Angeles: Do I Need to Rent a Cargo Van? Renting a Cargo Van in Toronto: Where to Start? If you are looking for ways to save money on moving day, renting a cargo van might be the way to go. Cargo vans work well for hauling your belongings if you live in a small home or apartment, preventing the need for a moving company. Cargo van rentals can be used for both local and long-distance moves. They can be reserved online, picked up at a nearby facility, and returned to a different facility near your destination. Hand trucks, furniture pads, and packing supplies are often provided or available for rental as well. If you are located in Toronto or the greater Toronto area, there are several companies to choose from for cargo van rentals. This article will provide you with some information to help you get started. The company that popularized the DIY move, U-Haul offers several locations throughout the city of Toronto and the greater Toronto area. Starting at just $19.95 plus .49 per kilometer, U-Haul rents out cargo vans and other styles of trucks to meet your needs on moving day. Known for great customer service, professionalism, and easy booking, U-Haul is ideal for small businesses and individuals who are moving or need to transport items. Vans and trucks are equipped with safety features and air-conditioning. Although t the online booking system can be frustrating and you might not get your preferred location, the low cost, free quotes, and friendly service make U-Haul a good choice. With great rates and eleven locations in and around Toronto, Budget offers a variety of vans at competitive prices. The company provides all the supplies that you need, friendly service, and easy booking on the website. This 100% Canadian-owned and operated company serves the Greater Toronto area. Established in 1993, its service is friendly and professional. Daily, weekly, weekend, and monthly rentals are available at competitive prices. Offering a wide variety of cargo van rentals, Enterprise guarantees reservations, offers 24/7 roadside assistance, and is known for its excellent customer service. Renting a cargo van from Enterprise is a great way to facilitate your small move. Rates are low and cancellation is easy. The Toronto locations service customers throughout the area. 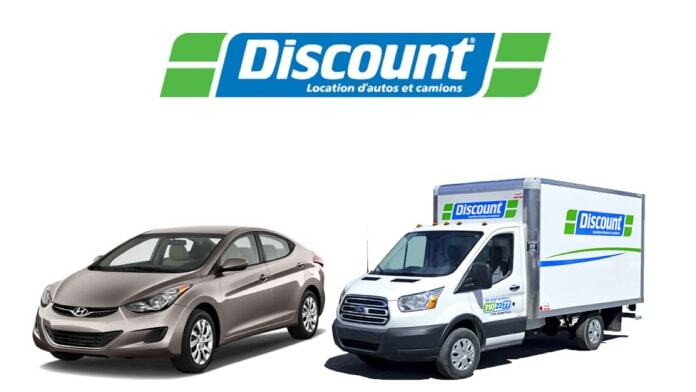 If you are in a bind and need a rental right away, check out Discount. With great rates and unlimited kilometers, renting a cargo van from Discount is an excellent choice. There are 25 branches in Toronto, so you are sure to find one that is conveniently located for your needs. Online reservations are easy to make, and prices are affordable. Offering a variety of hourly, daily, and weekly plans, Iversta can provide you with a 2-passenger van with over 1000 kilogram capacity and a cargo height of 53 inches. It comes with two back side doors, automatic transmission, an AM/FM player, air conditioning, airbags, keyless, entry, and a charger. Cargo vans can be rented from Iversta for up to 6 hours for just 19.90 CAD plus .25/kilometer, 37.59 CAD per day with 100 kilometers free plus .18 CAD/km for extra, or 73.87 CAD per day with 200 km free and .18 CAD for extra. The standard weekly rate includes 100/200 kilometers per day, 600 kilometers per week, and 2500 kilometers bi-weekly. With four pick up locations in Toronto, Iversta aims to provide rentals at highly competitive prices and excellent customer service. If you want some help with your move, this company offers a free driver so you won’t have to drive the van yourself. Movers can be provided if needed. A 100% Canadian-owned and operated car and truck rental company, Bristol provides rentals within Ontario and offers a diverse rental fleet. With several locations in Brampton, Scarborough, and Downtown Toronto, you will be sure to find one that is convenient for your needs. Customers appreciate the company’s amazing service and affordable rates. Providing a full range of moving supplies, 24/7 roadside assistance, and a variety of vans of different sizes, Penske has a lot to offer. There are several locations in Toronto and the surrounding area to choose from, and making a reservation on the website is easy. Penske will help you select the right vehicle for your needs, provide free rental rate quotes, and help you through all stages of your DIY move. Once you have reserved your cargo van, you will be ready to plan your move in more detail. To make your move proceed as smoothly as possible, here are some useful tips for parking, loading, and packing in the city of Toronto. Find out if you need a parking permit for your van, and be sure to arrange it ahead of time. Let your neighbors know about your move, and reserve the spot in front of your home or apartment building. If you live on the upper floor of your building, be sure to reserve the elevator as well. Before you start packing, create a list and organize your items. Put heavy items in small boxes so they won’t be too difficult to carry, and separate items you will need right away, such as toiletries, sheets, pillows, blankets, and a set of clothes. To keep your belongings safe, it is important to use professional packing materials and to fill boxes to the top. Breakable items should be wrapped in bubble paper and boxes should be taped securely. Label the boxes clearly on two sides and mark boxes with fragile items. Paintings and glass should be wrapped in special cartons with bumpers on the top and bottom. Don’t pack anything that is hazardous or flammable. Moving is a great time for purging. Spend some time sifting through your belongings and sell or donate any extra items you no longer need. Moving can be expensive and stressful, but if you plan well, you can save money by doing it yourself with a rental cargo van. With many different companies in Toronto and the Greater Toronto Area offering cargo vans for rent, you are certain to find a deal that will work well for your needs.